This distinctive lamp shade features wonderful wicker construction. An eye-catching design for your stylish home. This square lamp shade is crafted with dark brown wicker. Perfect for adding a touch of style to any room. Polished brass finish spider fitting. 4 3/4" across the top x 11" across the bottom x 8" high. Natural wicker lamp shade with brown cotton lining inside. A unique replacement for a paper shade on a swing arm wall lamp. I have 2 matching lamps and 1 lampshade is broken- these are the first shades I have found in the exact color and size to fit both lamps! THANK YOU FOR HAVING THEM ! This was the only place I could find a small interesting lamp shade with a spider fitting. Thank you. This will great in my basement wine bar... on a lamp made from an 1826 Madeira bottle. It is the only one that will replace my damaged shade. Do you have plastic lamp shades for screened porch? BEST ANSWER: I am sorry, we do not offer outdoor rated table lamp shades at this time. 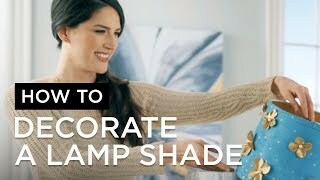 Do you have shades for outdoor patio lamps? BEST ANSWER: Hi, all of our lampshades are for indoor use. We do not have any lampshades that are for outdoor use. Does this shade come in other sizes? BEST ANSWER: Unfortunately, this lampshade is not offered in other sizes. which one is the height information? BEST ANSWER: The height for this lamp shade is 8". 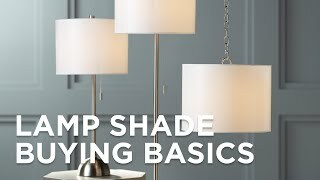 I have attached a link to our Advice and Tips for lamp shade measurements. Quality product that really changed the looks of a couple of lamps! I love this shade. It’s the perfect fit for a hall table . A modantique whitebox pleat shadeideal for a more contemporary style. A burgundy drum lamp shade featuring top and bottom trim. Enjoy the comforting style of natural burlap with this rectangle lamp shade.